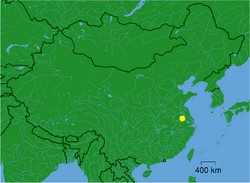 ' (Chinese: 南京; Romanizations: Nánjīng (Pinyin), Nan-ching (Wade-Giles), Nanking') is the capital of China's Jiangsu Province, and a city with a prominent place in Chinese history and culture. Nanjing was the capital of China during several historical periods, including the former capital city of Republic of China, and is listed as one of the Four Great Ancient Capitals of China. 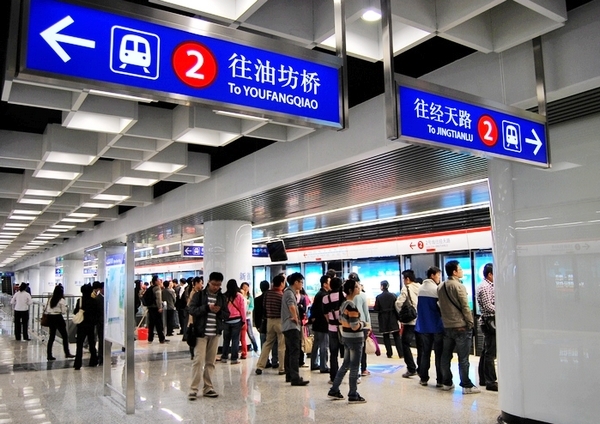 Nanjing is also one of the fifteen sub-provincial cities in the People's Republic of China's administrative structure. It has autonomy for jurisdiction and economy only slightly less than that of a province. 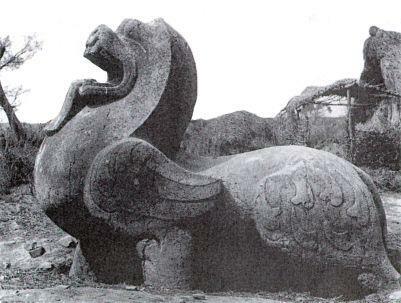 A bixie sculpture at Xiao Xiu's tomb (518 CE). Stone sculpture of the southern dynasties is widely considered as the city's icon. The Śarīra pagoda in Qixia Temple. It was built in 601 CE and rebuilt in the 10th century. 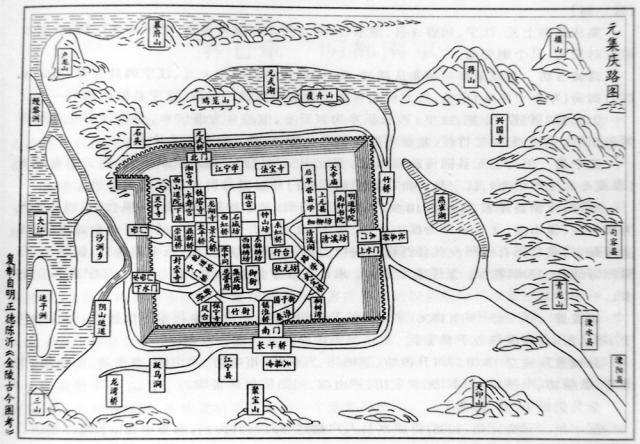 Yuan dynasty map of Nanjing. 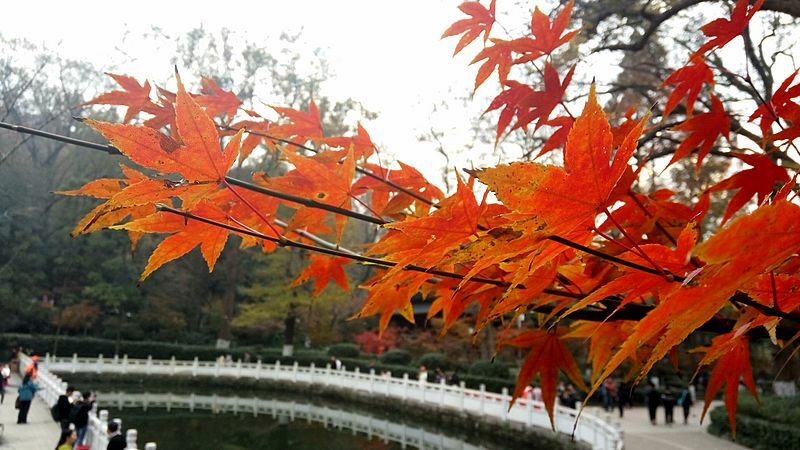 Autumn maple leaves in Qixia Mountain Temple. Skyline of Nanjing's Xinjiekou district as seen from Nanjing University's Gulou campus. Nanjing Yangtze River Bridge, built in 1968, the first bridge over the Yangtze River to be built without foreign assistance. An elderly man sketches plum blossoms at the festival. Zifeng Tower ranks among the tallest buildings in the world, opened for commercial operations in 2010. 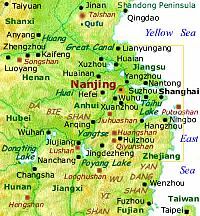 Nanjing Facts for Kids. Kiddle Encyclopedia.